Here's my Kourageous Larkspur finished. I had it completely finished yesterday. This block is my June 2011 UFO with Judy's Patchwork Times. Here's a photo of Kourageous so far. I've got six blocks complete...bring on July's challenge! Check out what could be next. Last days of June 2011. Do you have anything special planned for the next few days? Only plans I have today are finishing my June UFO Kourageous Larkspur and moving forward on Kondor's Klutch. I've made quite a lot of progress on Kondor's Klutch as you might see from the photos. 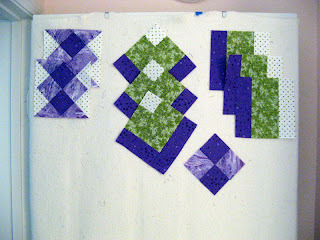 I've got many more almost complete block done. 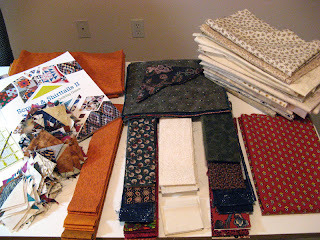 I have only to finish the last of the third cheddar fabric pieces then I'll assemble the top. There is still a long way to go with that HST nightmare of a border! I've not made any progress on my June UFO Kourageous Larkspur except that it is now pieced into sections. I've got tomorrow planned to put the sections together. So what have you got going on in your sewing room? 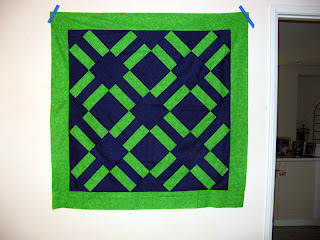 Look at other Design Walls from some great quilters at www.patchworktimes.com. I've got a change to my numbers this week YIPPEE! Thanks to my Mom's sewing and the need to have backs my stash was bitten into pretty good. I was happy to be the local quilt shop. Two projects got pieced block backs and the third was one piece. The good news is a reduction of 11 yards. 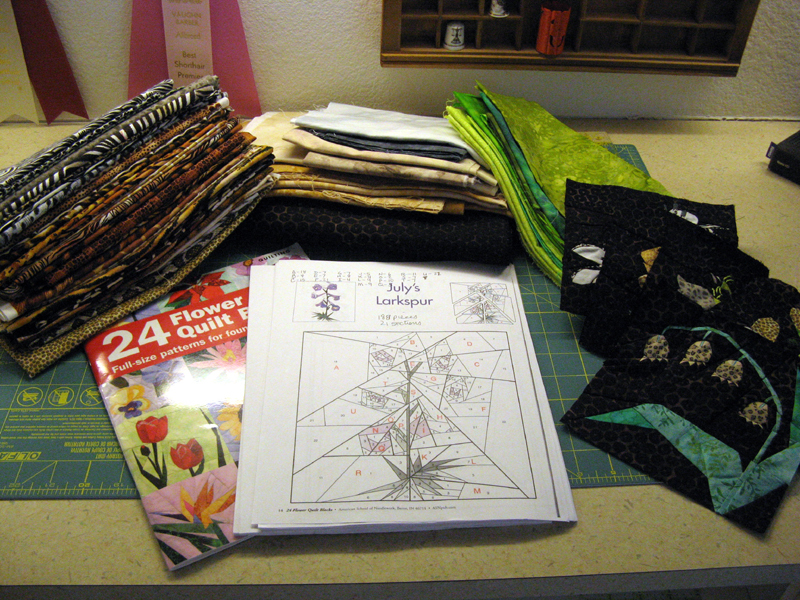 I've been working on my June UFO Kourageous Larkspur this week along with Kondor's Klutch. Koasting and Kottonwood Kurl are waiting for binding to be finished. I'll have pictures soon. 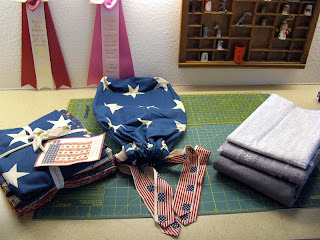 Check out more great ways we've used our stash at patchworktimes.com. Today is the last day of my Mom's visit. Not a happy day for me as we'll not see each other again until November. We talk once or sometimes even twice a day on the telephone, but as you all know it's just not the same as being together. We've had a wonderful time. Today we finished up the last of the projects she carried with her and one that was purchased while she was here. 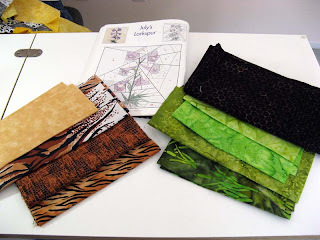 I helped her with ideas to use up scraps (making a back using a bunch of blocks), how to use Tri-Recs rulers, and how to add the setting blocks/triangles/corners for an "on point" layout. I think she'll go back to reading when she gets home as she's not quite used to the pace that I sew. This first one is Scalloped Charm. This was the project that was purchased here. 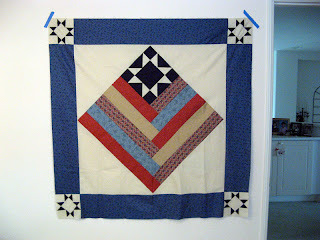 It has a nice bright pieced back that uses many of the colors that is in the quilt's center. The turquoise sashing will be it's binding when the quilting is finished. I believe this one goes to a local hospice that along with my Mom and several other quilters is hugely supported by Kathie's Quilting. Next is a quilt top from a block swap that my Mom participates in from time to time. This one was done a little over a year ago. The idea was to submit 12 1/2" black, white, and bright blocks. Here's where the how to came into play with the yellow blocks. 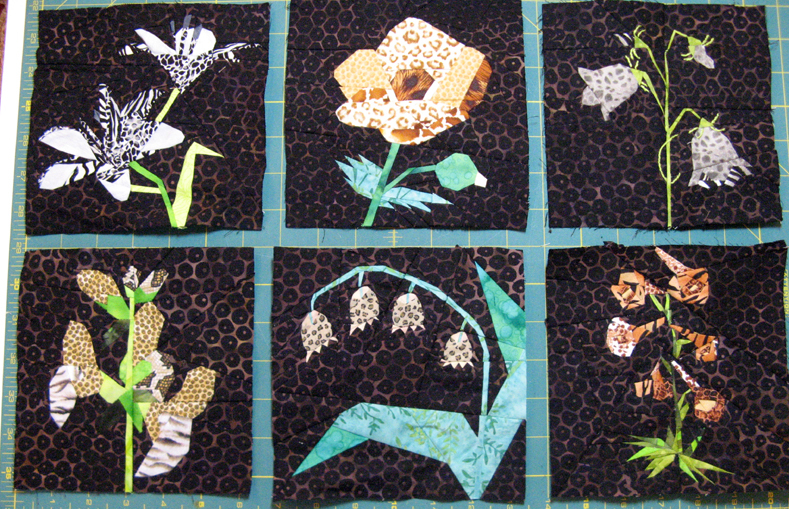 She had two blocks left after the top was assembled which found their place on the back; another pieced block back with primarily black and bright blocks. Here's Mom assembling the back. Next we'll be putting away all her special sewing tools ready for her return flight. She's got planned to give this one to the hospice group too I think. She'll be busy with binding for several weeks! 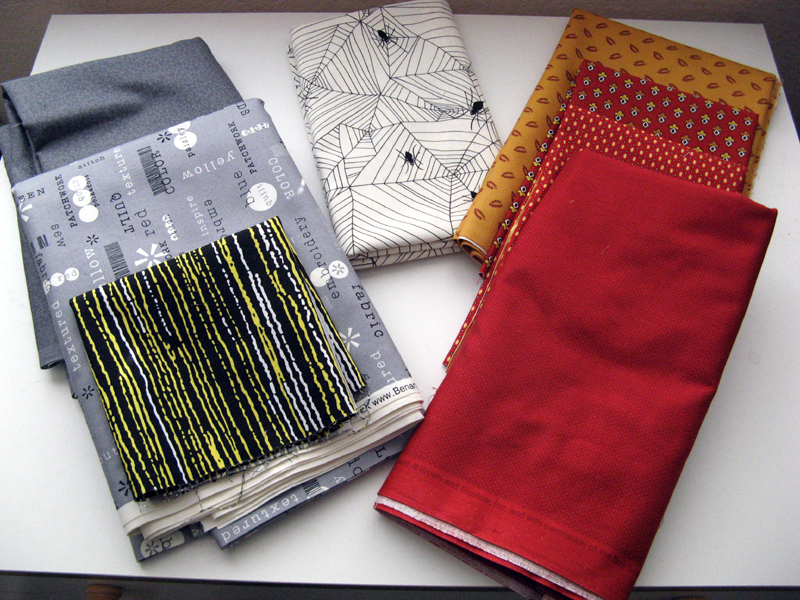 Last but certainly not least...I pulled fabrics for Kourageous Larkspur. 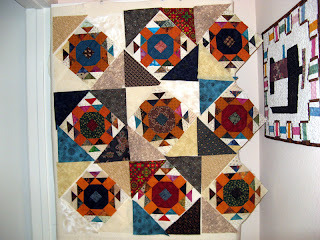 My June UFO Challenge block with Patchwork Times. 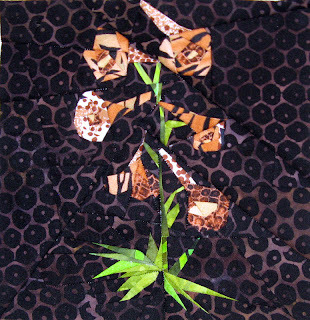 It will use four fabrics for both the flowers and the stems/leaves. I have the sections all cut and ready to start sewing Tuesday evening. Just over a week before it's due. Canyon Quilt Guild meets tonight. Pat Nikols is the guest speaker. Mom and I will meet up with Jeanne, Kerry, and hopefully Joan for dinner before the meeting. I'll let you know later this week what Pat Nikols has to say and show. If you have time check out other fabulous quilters today at Patchwork Times. Happy Father's Day. Hope you have something set up for your Dad today. Whether it be spending time with him or memories. My brother Mike and his wife Barbara are spending the day with my Dad. Of course he's never far from my thoughts. 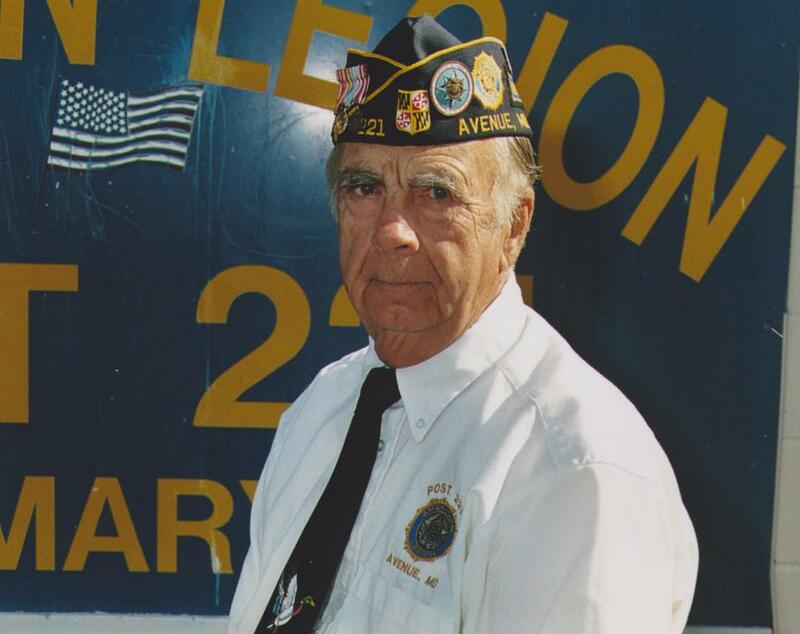 My Dad is active in the American Legion in Abell, Maryland. He retired from the Air Force after 31 years. He spends his time golfing, dancing, mowing the lawn and puttering in the garage. He's always doing something or taking a well deserved nap... Love you Dad! I've been spending lots of time finishing up projects that my Mom brought and bought during her two week visit with me. Sadly she leaves on Tuesday; there's still lots to get done. Here's a Project Linus completion of hers. 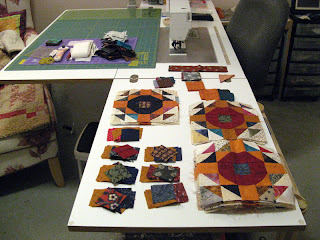 Today we'll finish up Part 2 of her Quiltmaker Mystery project. She's on Unit 7 now. I gave her a quick lesson on using the Tri-Recs Tools. We'll get borders on another of her project, prepare binding for another, and finally set her black white and bright blocks on point with the yellow fabric purchased yesterday at Beverly's. There will be pictures of all of these tomorrow. I've not been good at all with using my stash lately. Only thing I've been able to accomplish is adding to it! This week I found two bolts at 50% off that would make a great constant in any quilt. A cheddar and a red that I couldn't pass up. I got two yards of each of them. Today I'm featuring my guest's work! Meet my Mom, Betty. 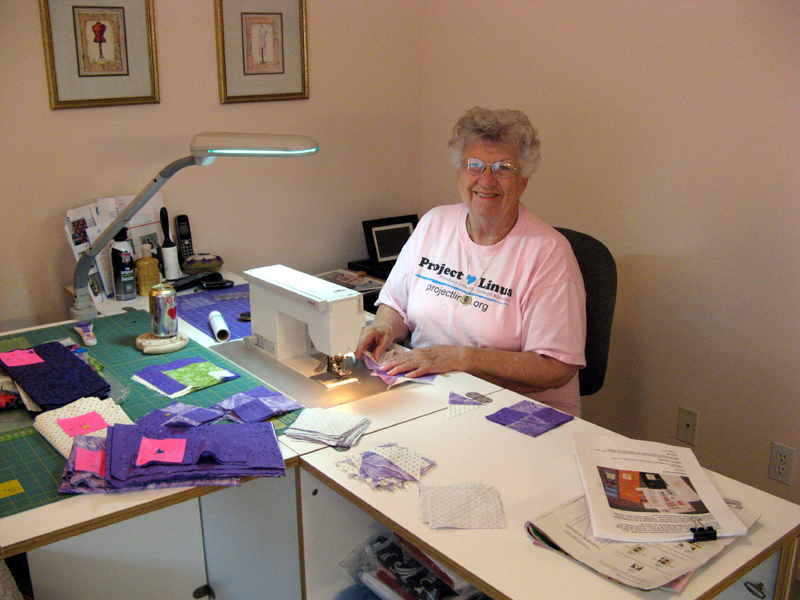 Here she is busy at work on her Quiltmaker Secret Window Mystery Quilt-Along project. 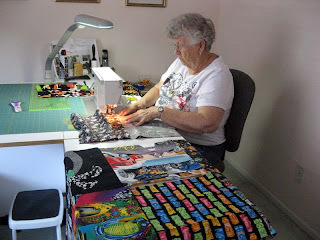 She got more done than any of us at the weekend quilting retreat. 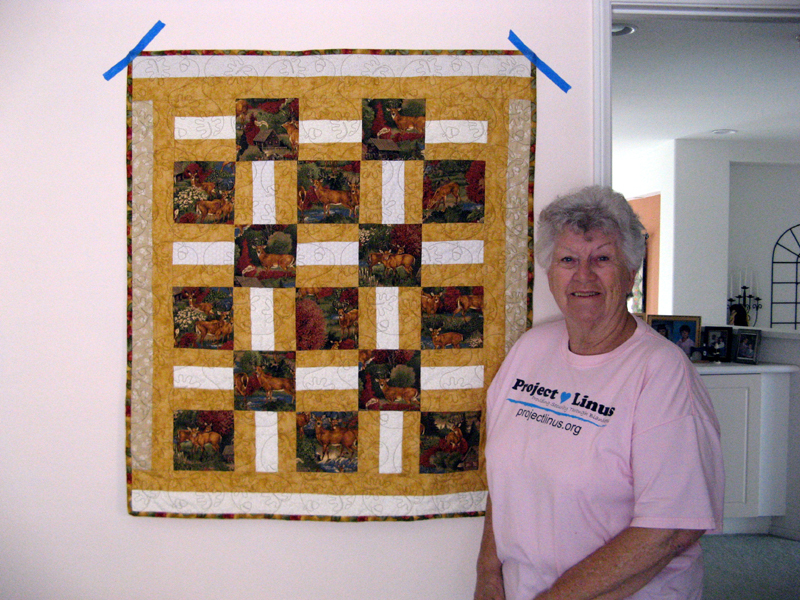 Hospice and Project Linus are going to be happy with the first two projects. The Scalloped Charm project was purchased at Memory Lane when it was evident that she'd run out of things to work on at the retreat! Both projects may have a border or two to add on; we'll see. The third one is for a quilt guild challenge (ssh Kathie....). She's got other projects to work on yet during her stay. Hopefully everything she brought will find it's way under the needle! This is Bonnie Hunter's Hawk's Nest design from her book Scraps and Shirttails II. I've been collecting cheddar fabrics for the last year for one of her designs and from this third book that is made to use up your bonus square triangles...I got going. This was my main retreat project for this past weekend. I had lots of bonus HSTs to keep me busy. This project that I'm going to call Kondor's Klutch is going to look great! These are my parts yet to be assembled. You can see that I've got lots of bonus HSTs yet to work with before I need to make more...using my Tri-Recs rulers or perhaps 2" triangles on a roll papers. Not sure if the "roll" will work well for the strips I'm planning on using. I know the Tri-Recs rulers will work! My design wall is no where near large enough to display this project. I'll be going to the floor as this project grows. I need to get busy on this project. My June UFO with Patchwork Times. I have yet to select my fabrics. I'm way late in posting my Sunday Stash Report. I have been enjoying my Mom's visit. 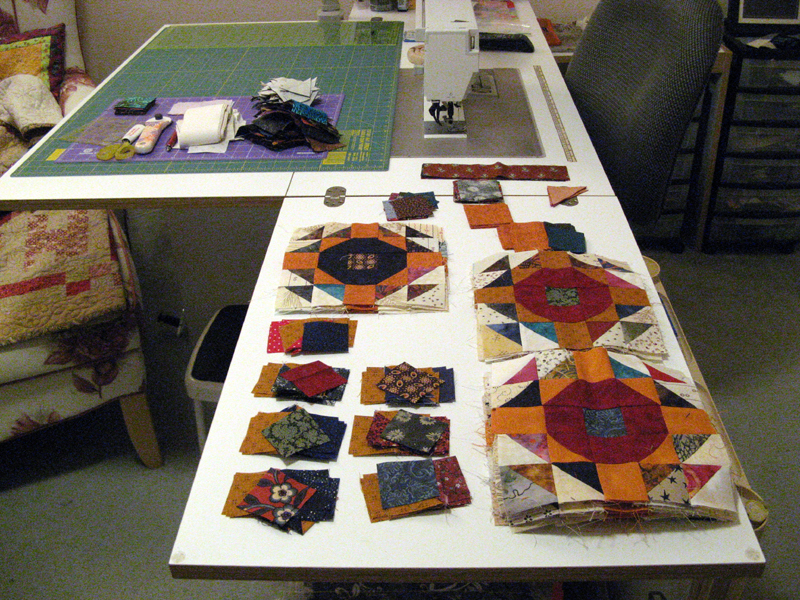 We've been doing all sorts of things including the Quilting Retreat with seven other quilters this past weekend. Needless to say there had to be a couple of trips to local quilt shops! Mom and I got to Quilt-In-A-Day and Quilters Paradise on Wednesday. Friday had the two of us along with Bonnie and Shelly at Memory Lane. Saturday six of the "retreaters" were at Cozy Quilt Shop. We had FUN! One of my purchases greeted me at my doorstep Sunday after the retreat. A kit I'd purchased from Country Threads (thanks Jo's Country Junction). It's a Quilts Of Valor pattern by Moda which also includes a bonus pattern. My Net Fabric Used is suffering.....I've got to get something complete! I said this last week and it is OH SO TRUE! Just wanted to show off my newest completion. Kamel Kountry, as I've coined my project, is a Bonnie Hunter design that she brought to us as a mystery called Old Tobacco Road. Check out her website www.quiltville.com for the pattern if your interested in making one. I've also got one of my quilts featured in the Quiltmaker Spotlight in the current issue. It's called Koh-i-nor and also happens to be a Bonnie Hunter design. 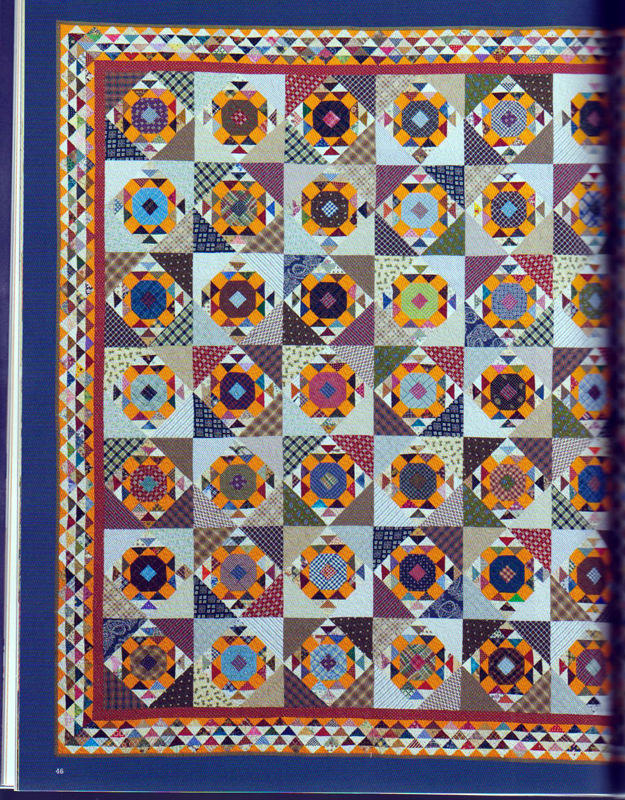 This pattern is available in her third book called Blue Ridge Beauty. You can purchase her book Scraps and Shirttails II on her website too. Part 2 is in full swing over at Quilters Club of America. There are somewhere around 350 members in the Quilt-Along Group. Join us for some fun, it's not too late and it's FREE! My Mother will arrive this evening for two weeks. Can't wait for her to be here. Happy Quilting! Are you enjoying your Monday? I'm hoping mine will go swiftly. 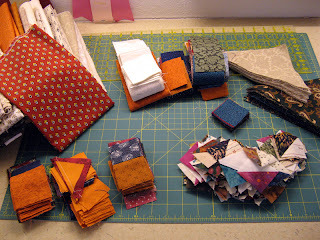 I've got loads to do before the quilting retreat that starts Thursday. Today I spent most of the day getting ready for my Mother's visit that starts Tuesday. After dinner dishes were put away I found time to get back to Hawk's Nest by Bonnie Hunter. This project is one of the three I'll be bringing with me to work on at the retreat. I'm trying to get the cutting done so it's pedal to the medal for piecing. I've got that stack of lights to cut into 8.75" squares and 2 3/8" strips of cheddar to cut yet. I will be working during my lunch break on trimming up those bonus HSTs into 2" squares. I'll keep you posted on this project in the days ahead. Later tonight after getting Hawk's Nest cutting finished, I plan to pull fabrics for the second project I'll take Perennial Petals. Perennial Petals will pull from my batik stash! There are lots of HSTs in this too. 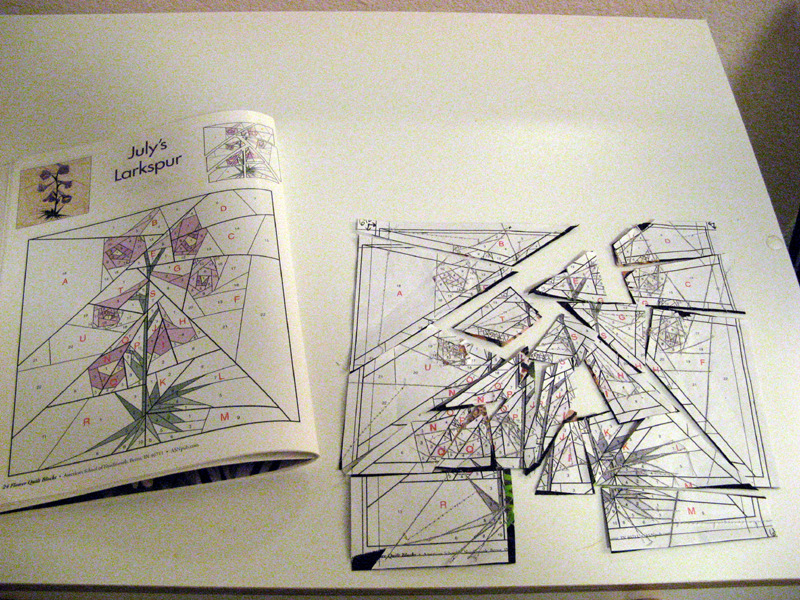 My third project may or may not get cut...but then I may not have time to get to it during the retreat either. I think it's much better to have too much than not enough, don't you? Check out other Design Walls today at Patchwork Times. First full week of June is upon us. I've got an exciting week ahead! My Mother is coming to visit and she'll be here from Maryland on Tuesday. It's way too long between visits... Next I'm on vacation Wednesday and Thursday and Friday is my OFF Friday so only two days of work this week... Finally, starting Thursday my Mother and I will be joining seven other HAPPY QUILTERS on a weekend quilting retreat. Now how's that for a great week ahead? I do have damages to report this week. Nearly every piece has a home already...well three don't, but I'm sure won't be long in my stash. The two grays and the black/white/yellow stripe are all for Sharyn Craig's Block of the Month called Building Blocks that's being brought to us by Cozy Quilt Designs. The blocks so far all designed by Wendy Mathson. The cute spider and web fabric is for a bimonthly opportunity quilt that Kerry and I'll be making for Sunshine Quilt Guild for September/October. 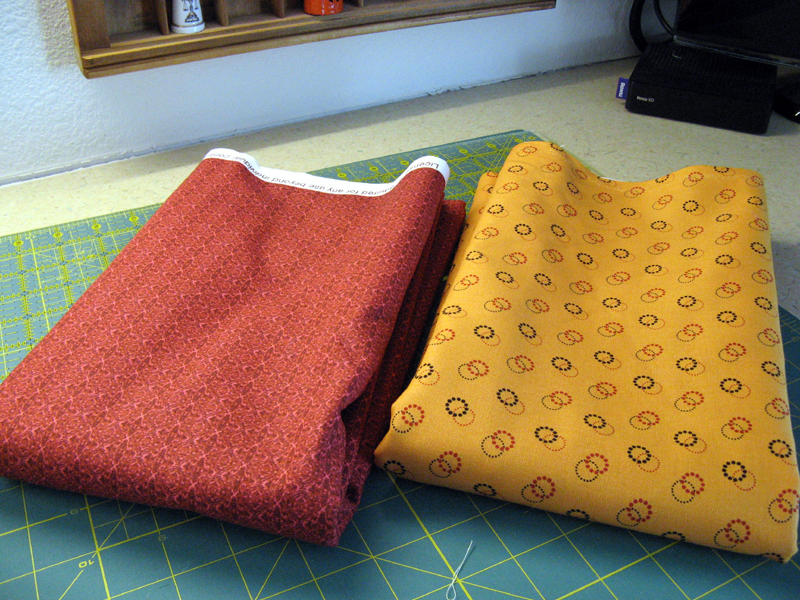 The next yummy four fabrics are cheddar and red. Now who can't use these two colors in just about any project. The one that is destined for a current project is the second from the top. It's for Hawk's Nest by Bonnie Hunter which can be found in her third book just out called Scraps and Shirttails II. For the retreat I'll be taking Hawk's Nest, Building Blocks, and Perennial Petals (Quiltmaker March/April 11) projects to work on. My Net Fabric Used is suffering.....I've got to get something complete! 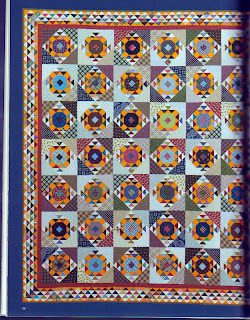 #8 was selected for June's UFO challenge with Patchwork Times. 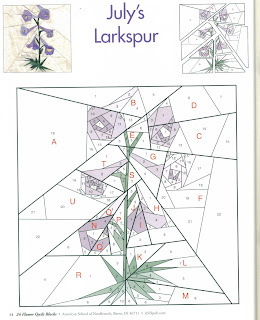 My #8 is the Larkspur block. This pattern is by Linda Causee in her 24 Flower Quilt Blocks book. There are 21 sections and 188 different pieces! (The U Section has 22 pieces all by itself.) This one takes the prize for the most sections and pieces to date! I'll let you know if I had fun a little latter! I guess it's time to be Kourageous.